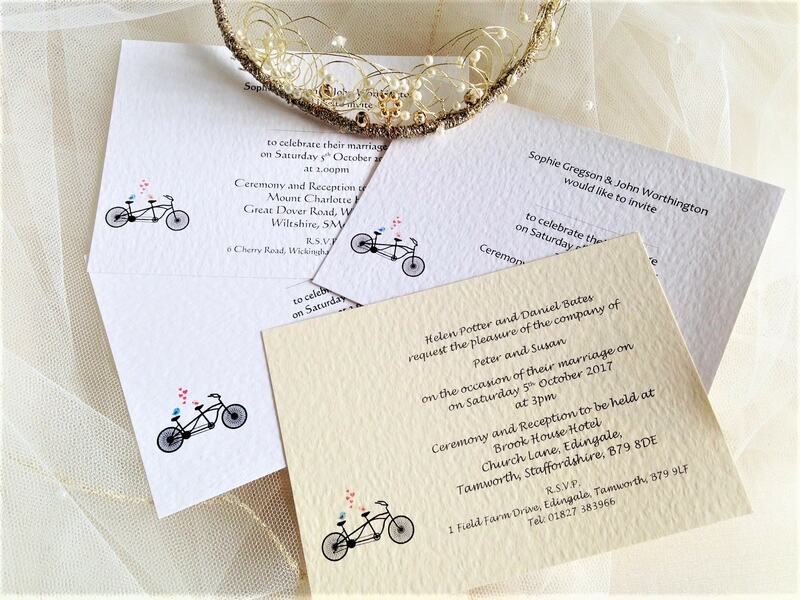 Our Tandem Bike Postcard wedding invitations are an elegant postcard-style personalised wedding invitation supplied on a thick heavy weight (270 gsm) hammered card and available in either white or ivory. 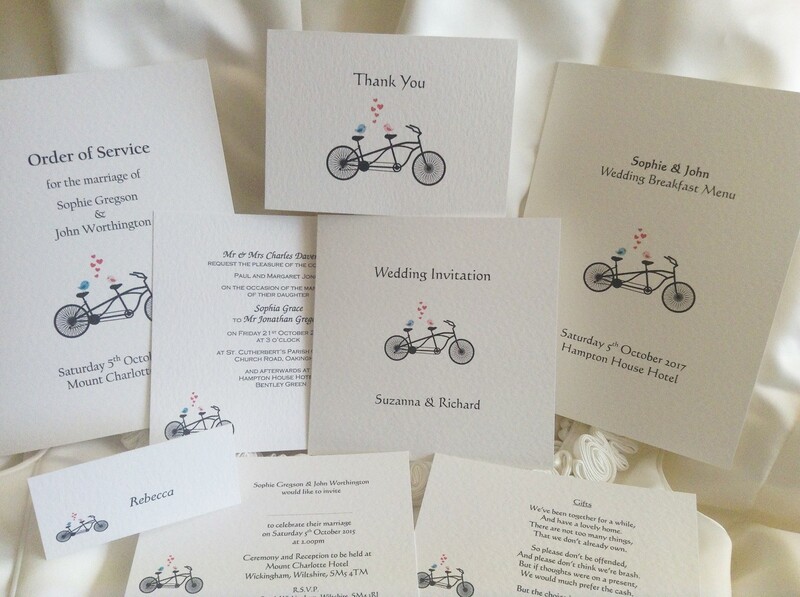 The Tandem Bike Postcard Wedding Invitations are the most affordable wedding invitation style in our Tandem Bike Wedding Stationery Range. 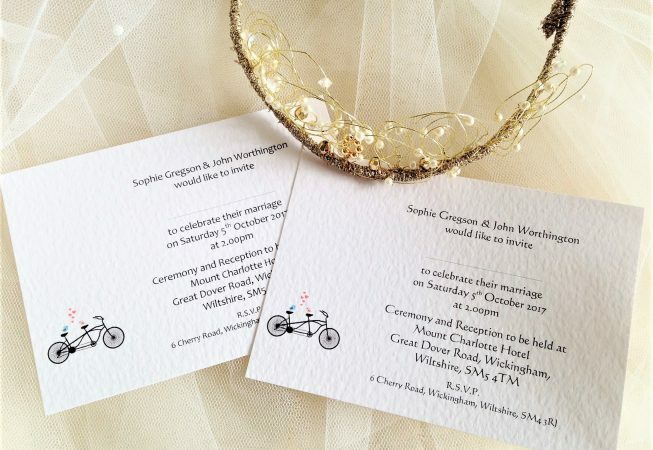 Daisy Chain Invites are a small UK company supplying top quality, affordable personalised wedding invitations, wedding stationery and invites for all special occasions. 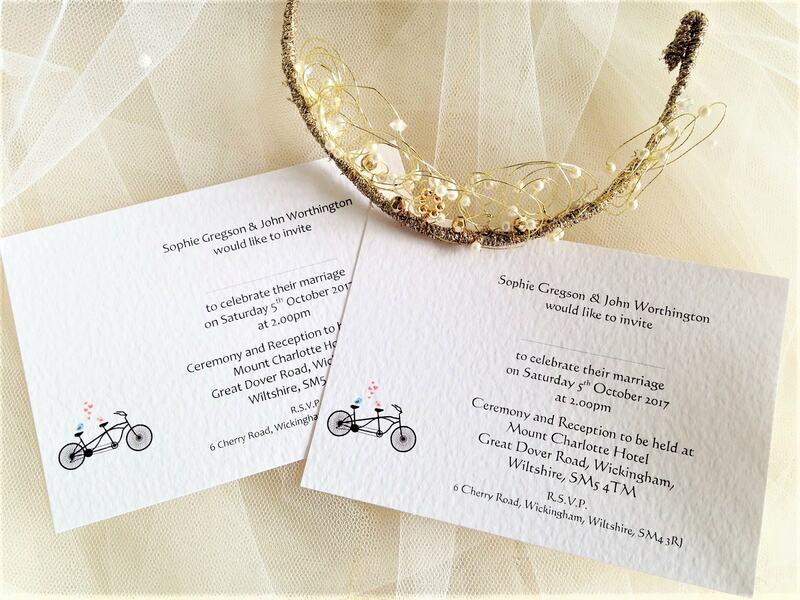 We offer an informal personalised service and have built up a reputation for supplying quality, elegant, stylish wedding invitations and wedding stationery for affordable prices. 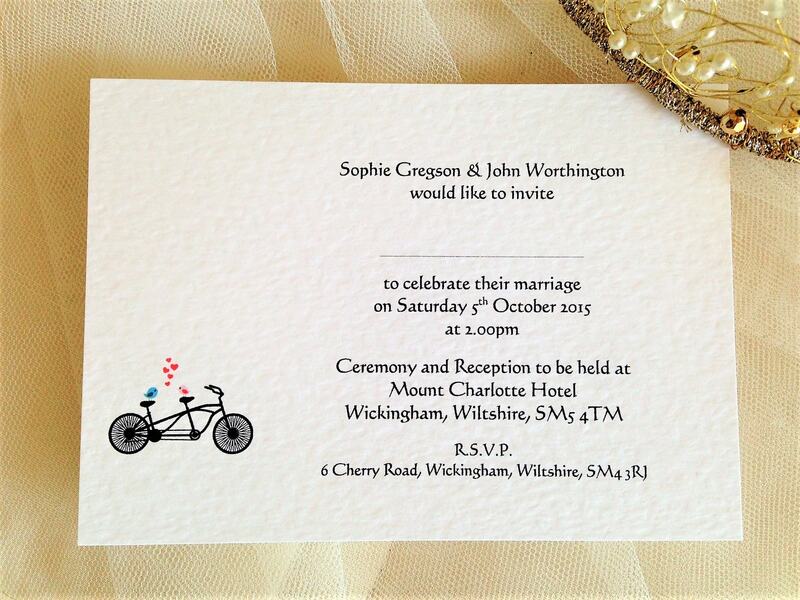 We are listed as a Top Rated UK Wedding Invitations supplier with over 900 reviews.